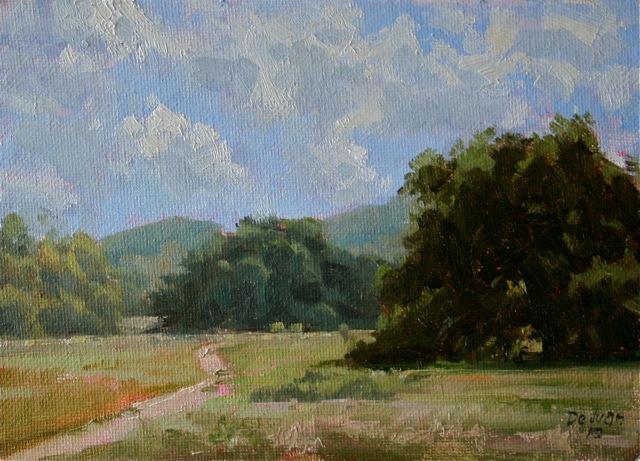 Landscape by Jose de Juan at Lummis Day 5. In 1884, Charles Fletcher Lummis walked 3507 miles from Ohio to California to take a job with the Los Angeles Times; Americans discovered the Southwest through the dispatches he wrote from his road trip through New Mexico and Arizona. Lummis then settled on the banks of the Arroyo Seco, became editor of the Los Angeles Times, built a castle out of river rock and railroad ties (El Alisal), and turned it into the social hub of Northeast Los Angeles while founding the Southwest Museum and campaigning for the rights of Native Americans and other minorities. In other words, he was a man who apparently never slept. 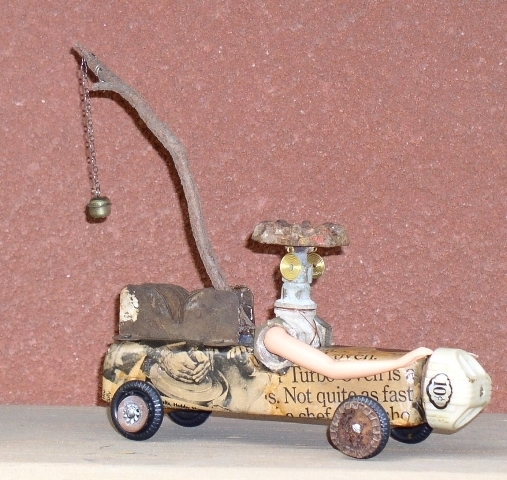 Darcy Hawes' assemblage of found objects. Go Go’ers, you won’t have to expend nearly as much effort to get to Lummis Day 5: the Festival of Northeast Los Angeles. In the spirit of Lummis himself, it’s a celebration of art, music, poetry, food, and the NELA community. Except you’ll probably get some sleep later…if you want. The art will be on display until 5:00PM at El Alisal but mid-day, the party shifts to the nearby Heritage Square Museum where over 100 jazz, salsa, rock, country, hillbilly and punk performers — including Emmy-Award winning Tex-Mex artist Ruben Martinez, local rockers Ann Likes Red, and alt-country hillbilly punk band The Evangenitals — will keep things lively on three, different stages. Plus, look forward to artisan crafts, community booths, and tasty treats from food vendors like gourmet food trucks Frysmith, Don Chow Tacos, and Nom Nom, and local mom n’ pop bakery Mardy’s Munchies, all in the enclave of Heritage Square’s gorgeous, preserved homes. Go Go’ers, the old man of the Arroyo still throws a damn good party. Previous Post CAIRO CARAVAN: lots of Little Egypts in Long Beach. Next Post VENICE BEACH PUB CRAWL SCAVENGER HUNT: Don’t just stand there drinking…do something! great post. I still enjoy reading about Lummis and the history of the Arroyo Seco. What a great area to live and work in. All attendees concurred that it was a great…and delicious!! !…day at Heritage Square, Mardy! Hurray for NELA! Ms. Go Go MEANT to say “Steve and Mardy”! Darn, slippery keyboard….